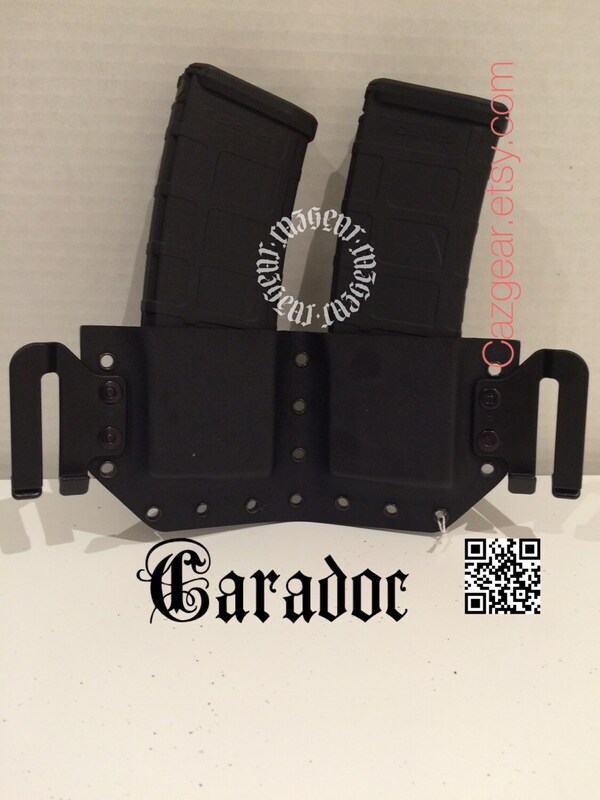 Caradoc Dual mag carrier for AR-15. 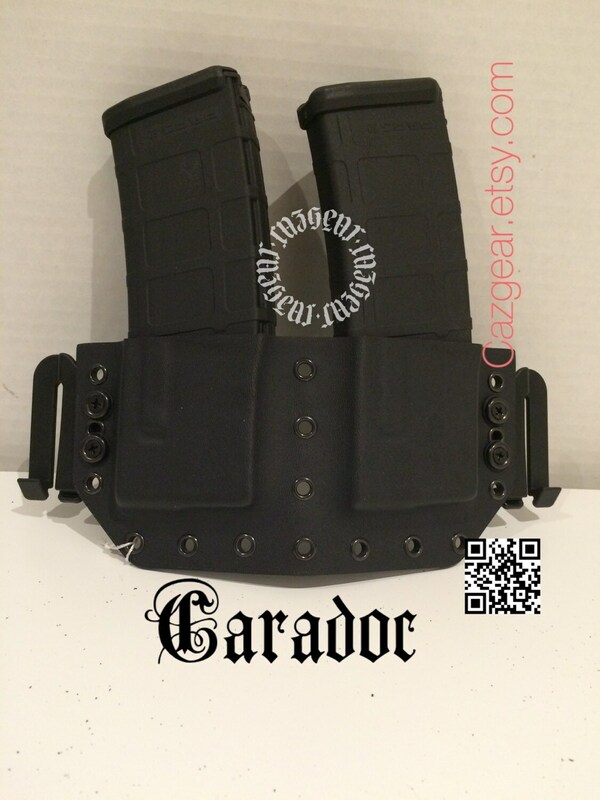 Can be worn on either left or right side; mags are reversible. 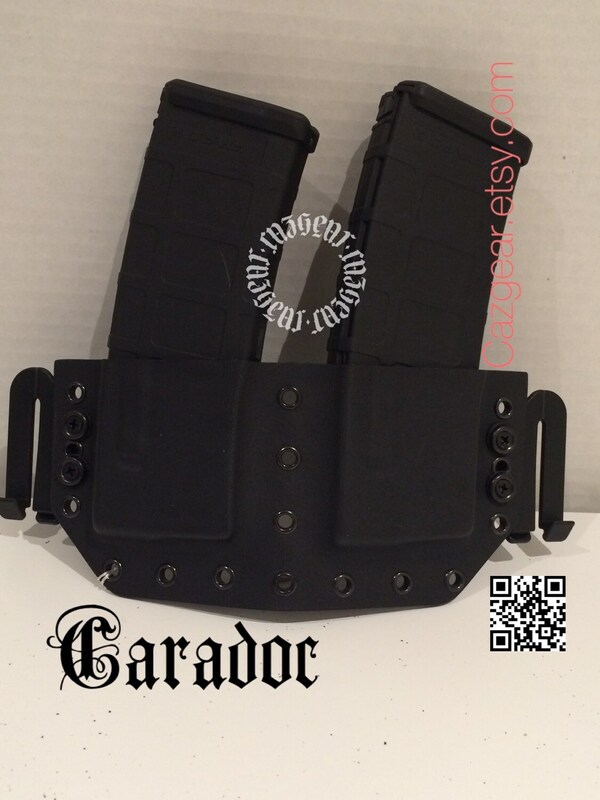 Designed especially for 3 Gun competition with corner combat cut to facilitate ease of movement. 1.75 U Loop belt loops to pull carrier tight to body. 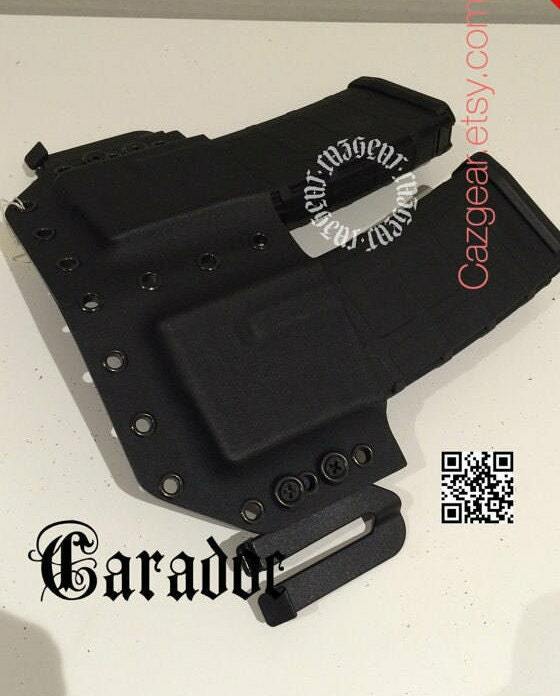 Production Disclaimer: The majority of the products developed by CazGear are produced by hand and are not a result of the use of high tech precision machinery. In order to meet your satisfaction, we work to communicate with you throughout the production process. Jason is amazing. He answered all my questions quickly. Shipping was fast. The carrier is sturdy and fits close. I'll be ordering more soon!